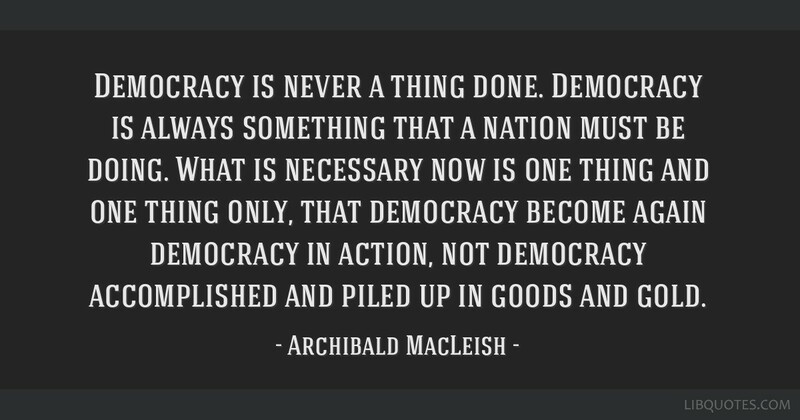 Democracy is never a thing done. 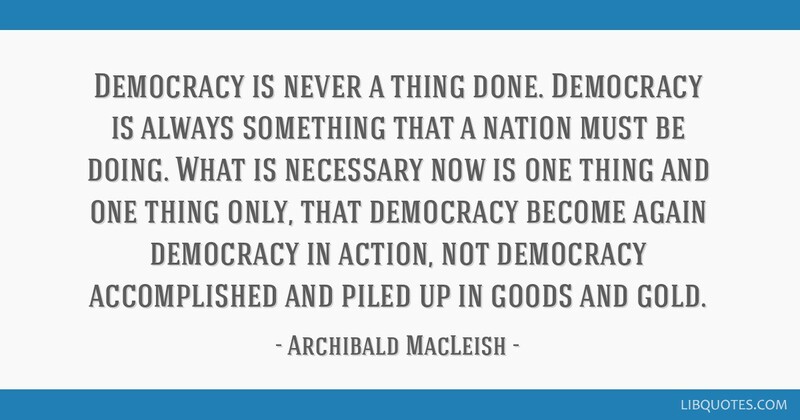 Democracy is always something that a nation must be doing. 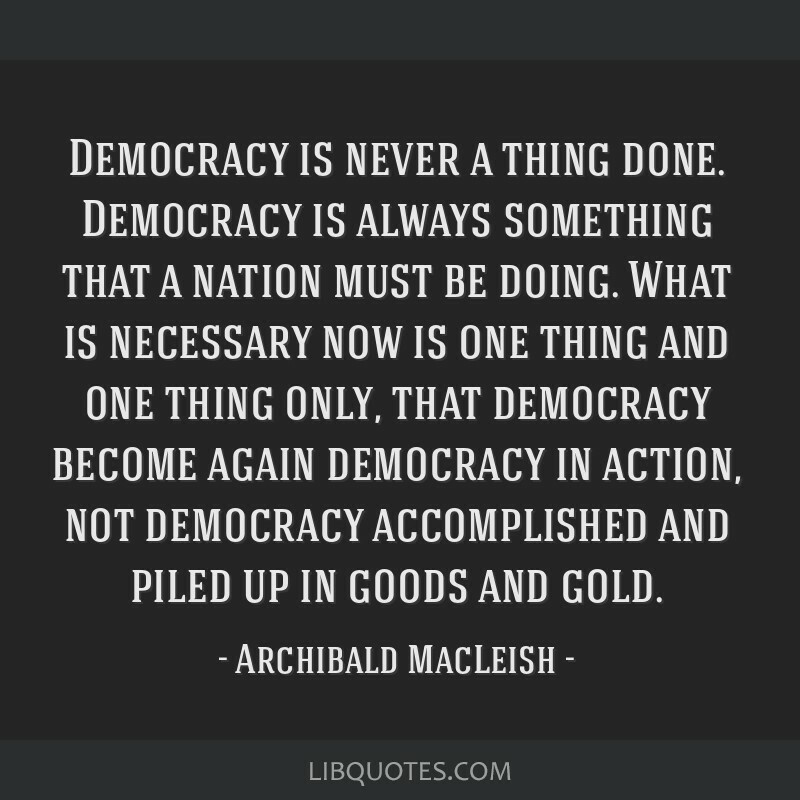 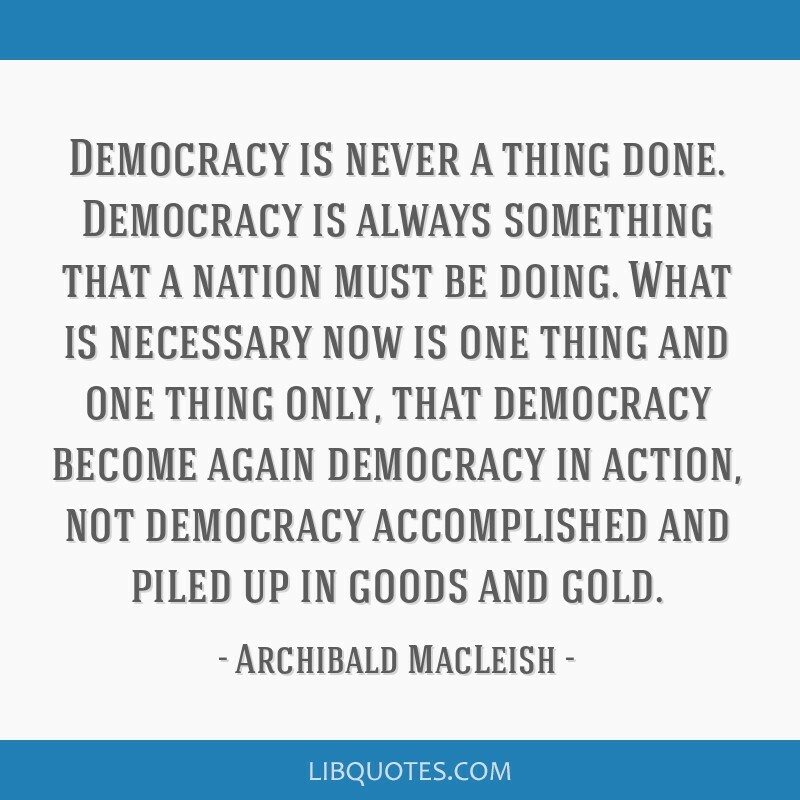 What is necessary now is one thing and one thing only, that democracy become again democracy in action, not democracy accomplished and piled up in goods and gold.